If an image has multiple layers, you must choose which layer you want to work on. Any changes you make to the image affect only the active layer. You select a layer to make it active, and only one layer can be active at a time. The name of the active layer appears in the title bar of the document window, and a paintbrush icon appears next to the layer in the Layers palette. If you don't see the desired results when using a tool or applying a command, you may not have the correct layer selected. 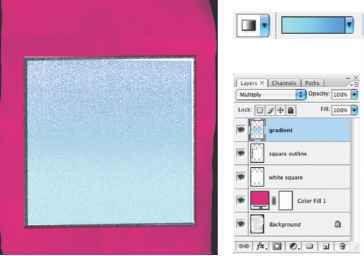 Check the Layers palette to make sure that you're working on the desired layer.